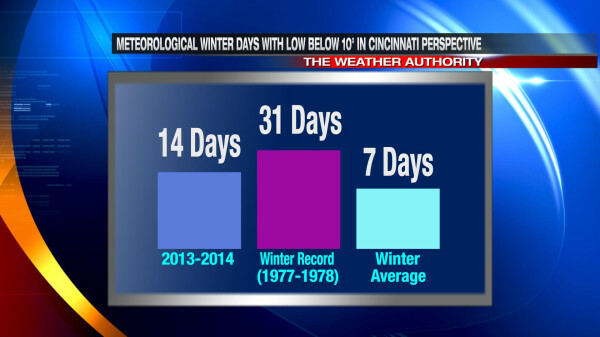 Winter is far from over, but the core of the winter season – December, January, and February – was among the snowiest and coldest on record. 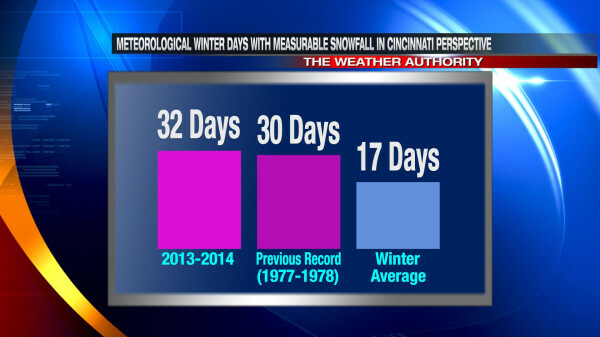 In fact, meteorological winter 2013-2014 was the 2nd snowiest and the 18th coldest on record in Cincinnati. To ensure that meteorologists compare apples with apples, meteorological winter is defined as December, January, and February. Astronomical winter’s start and end date varies each year and often ends and begins at a different time each year. 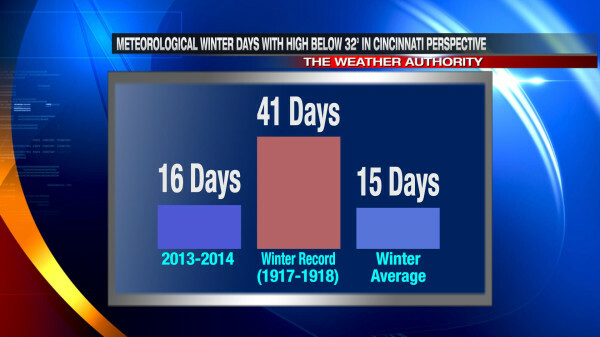 Meteorological winter is always 3 months long, so it’s simple to compare seasons. Meteorological winter of 2013-2014 ranks as the 2nd snowiest on record in Cincinnati; we were close to the number one spot of 1977-1978! One Tornado Warnings and seven Severe Thunderstorm Warnings were issued in February 2014. The Tornado Warning was the first issued in the Tri-State during February since National Weather Service Forecast Office in Wilmington records began in 1995. The tornado confirmed by the National Weather Service in Ripley County was the first February tornado in the Tri-State since February 15, 1967. Even after the brutal cold of meteorological winter 2013-2014, nearly all records of snowfall and cold still belong to 1976-1977 or 1977-1978. 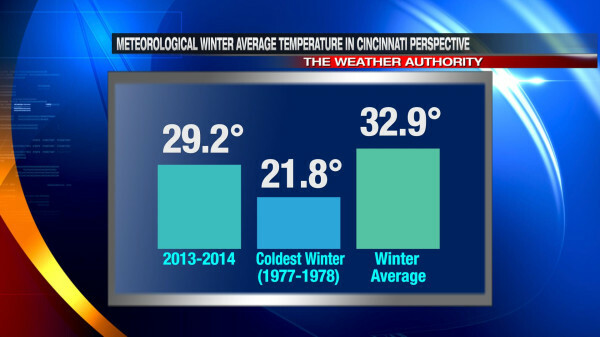 Rounds of snow and ice are far from over in the Ohio Valley. 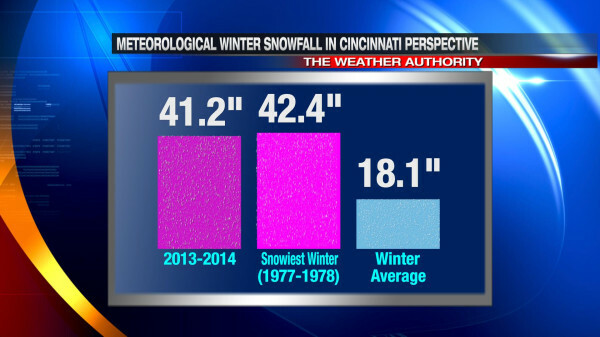 Cincinnati averages 3.1″ of snowfall each March; some in the Tri-State may see more than that Sunday into Monday!